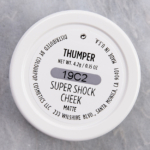 Colour Pop Thumper Super Shock Cheek ($8.00 for 0.15 oz.) 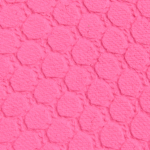 is a bright pop of light-medium pink with cool, blue undertones and a satin sheen. It had just enough of a fine, satin shimmer strewn throughout to give it a slightly glowing finish when applied and blended out on my skin. The texture was smooth, velvety, and squishy to the touch without feeling wet or emollient, and it seemed slightly drier than other shades in the fomrula. 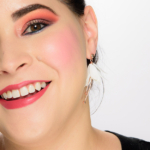 The pigmentation was buildable from semi-sheer to semi-opaque, though I found it less pigmented compared to most of the brand’s Super Shock Cheek shades. The color applied easily using my fingertips to pat the product into place and then using the clean edge of my fingertip to spread and diffuse the edges. It wore well for 10 hours before fading slightly on me. P.S. — This shade is not new; I reviewed in mid-2015, and as I received fresh samples of their permanent blush range, I decided it was a good time to re-review (as I’ve learned that products can change over time!). NARS Power Play (LE, $30.00) is lighter (95% similar). 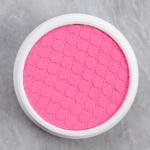 Sleek MakeUP Pixie Pink (P, $6.99) is brighter (95% similar). Anastasia Sugar (PiP, ) is more shimmery (95% similar). Tom Ford Beauty Pink Ombre (LE, $55.00) is lighter, less pigmented, lower quality (95% similar). MAC Bubbles, Please (P, $29.00) is warmer (95% similar). NARS Roman Holiday (LE, $30.00) is darker (95% similar). Too Faced Justify My Love (P, $26.00) is more shimmery, warmer (90% similar). Urban Decay Obsessed (P, $26.00) (95% similar). Clinique Pansy Pop (P, $21.00) is more shimmery, darker, more muted (90% similar). NARS Mistinguette (LE, $30.00) is lighter, brighter (90% similar). The formula is supposed to have "buildable" coverage and can be applied with fingertips (which will yield "higher coverage") or a brush (for sheerer coverage). 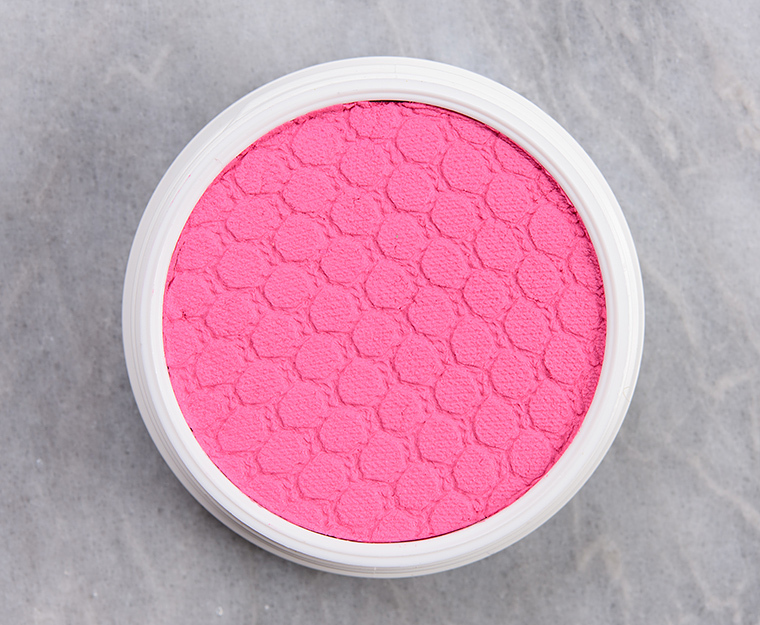 It's a cream-based product that has a subtle, "wet" feel to it but never has the thickness of a true cream-based blush. It goes on with the smoothness of a cream formulation but diffuses and blends (without lifting up one's base) more like a powder product. 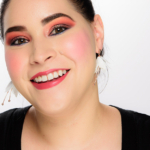 The product sets to a powder finish, so the product won't slide around during the day. On me, the wear tends to be between eight and 10 hours. Most shades have medium, buildable pigmentation with some being semi-opaque to opaque on occasion. They are typically blendable, easy to use, and long-wearing. 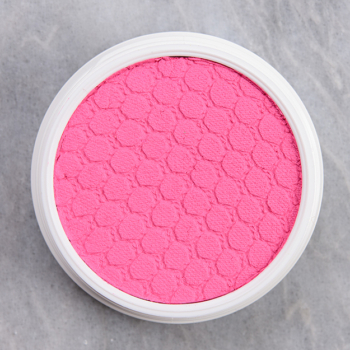 Browse all of our Colour Pop Super Shock Cheek swatches. Colour Pop Thumper $8.00/0.15 OZ. I have two 90% dupes that run warmer than this, thankfully. Even then, I find that I don’t reach for either one very often due to how cool toned they are. 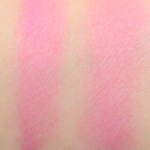 MAC Pink Swoon does get more love than UD X-rated, though.